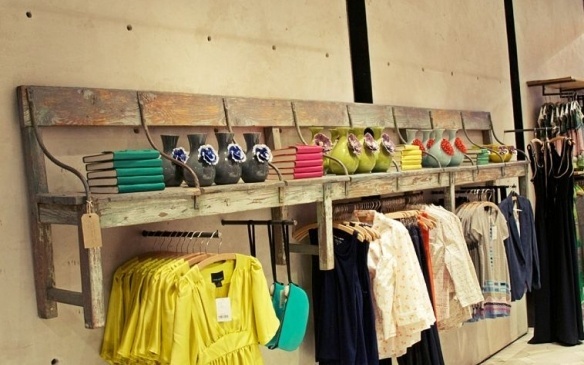 In retail, fixtures refer to any piece of equipment or furniture used to display products. The most common type of fixture are shelves, but there are countless types of fixtures like mannequins, display racks, display cases, stall walls, signage holders, and more. Retailers have the most say in the choice of fixtures, but they will sometimes collaborate with brands to create unique displays with special fixtures. 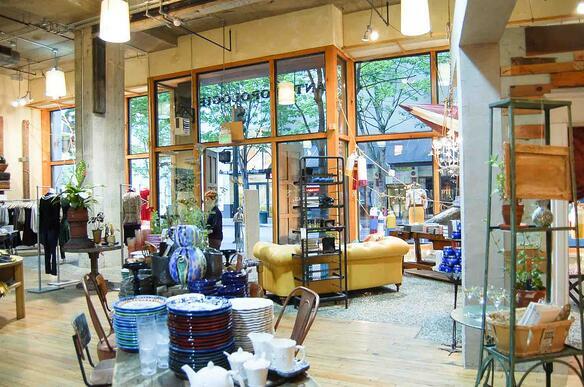 Anthropologie always finds original fixtures, sometimes transforming objects like the bench below into display material. Target is a more traditional "big-box" retailer, with standard, very flexible fixtures across all stores. 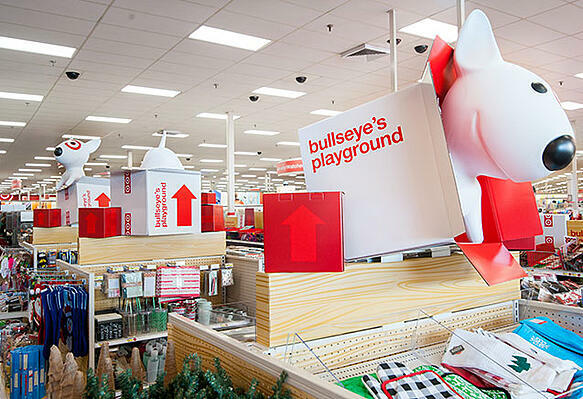 But they alway find ways to add to the store experience with special fixtures and decor like the bullseye playground below, their giant target shopping basket, or special holiday displays. William Sonoma fixtures are an elegant compromise between a "big box" take on fixtures, and the "every store is different" approach of Anthropolgie. 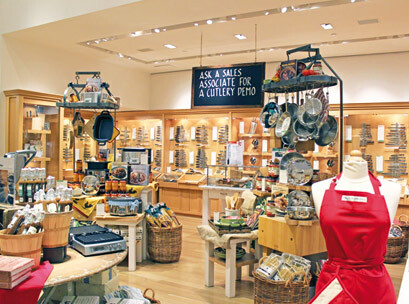 William Sonoma has standardised displays and fixtures across all stores, but they keep the layout open, with lots of tables throughout the stores, and shelves mostly on the walls to encourage customers to browse.